Let me start by saying this: for a Miami-set film which features drug dealers and rough neighbourhoods, Moonlight isn’t concerned about gang culture and the crime associated with it. Instead, the film is completely committed to showing the troubled life of Chiron, played by three different actors in three chapters, with each part detailing his experiences from childhood to adolescence to manhood. At its core, Moonlight is a classic coming-of-age story, but it has rarely been told in such a chilling yet delicate way. As a boy and a teenager, Chiron grows up in a poverty-stricken area with his drug-addicted mother (Harris). He has never had it easy and is constantly bullied at school. The film is deeply personal and it explores identity, sexuality and masculinity, and these themes are reflected through the character. Chiron’s growth from a boy to a man plays out in a strangely fixed state because it always feels like the present moment. I had to remind myself that it’s not the same actor portraying him in the three separate parts of his life. Alex Hibbert, Ashton Sanders and Trevante Rhodes all act uncannily similar in their shared role and they are utterly absorbing. I have never seen three actors depict one character so convincingly and for me, this is the best thing about the whole film. The supporting cast is also impressive. Mahershala Ali’s drug-dealing Juan is at the centre of the first chapter as he takes young Chiron under his wing and helps manage his bad home life. Naomi Harris delivers a raw performance as Paula, who treats her son appallingly but her love for him still shines through. Her role is slightly stereotypical but I can’t fault her efforts. It’s her best work to date. The film moves at a restrained pace with a tone that’s consistently moody. So, if you like fast-paced films you might struggle with Moonlight. It’s a slow-burn but I urge you to stick with it because it’s very thought-provoking. It shows the importance of human connections in shaping who we are as people, and how others have an influence on the path we take in the future. I expected Moonlight to be an insightful character-based drama and it certainly was that. My only minor issue is that the story doesn’t give us any major surprises. It’s a bit too straightforward at times but other than that the film is very well executed. It doesn’t grab you immediately, but as the story develops it soon hooks you though the characters and on the strength of the performances. I’ve seen a lot of critics call this film a masterpiece. It’s not. It’s hardly going to change your life, but it’s still an important film. Not because it draws attention to race and sexuality, but how it reminds the audience that human growth and finding your identity takes time and it can be a lifelong process. Viewers from all backgrounds will be able to relate to this film. So make sure you watch it. Stars: Mahershala Ali, Naomi Harris, Ashton Sanders. will have to watch this !! ” I have never seen three actors depict one character so convincingly and for me.” Completely agree with you 100% on this. 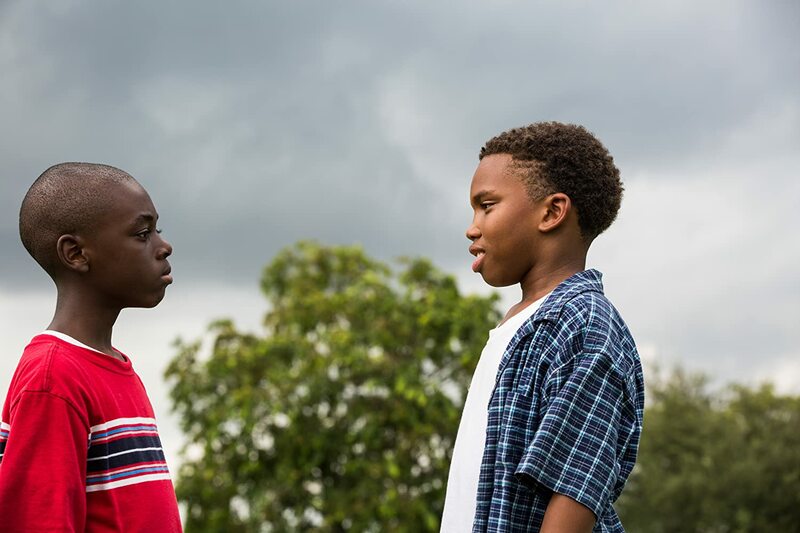 Moonlight is my #1 of 2016 (just posted my top 10…check it out! ), but I agree with you, the film is NOT a masterpiece. My boyfriend, who is also a cinephile/went to film school, could only shrug and say it was okay. I think it’s a masterpiece for independent filmmaking, for unknown actors (all 3 Chiron’s) and for a relatively rookie director. That’s why I appreciate it and think it deserves a shot at Best Picture. Great review! Thanks! It’s impressive for an independent film and like you say, a rookie director. And the acting was very good but I just think other critics went a bit overboard. I’ll check out your top ten. Great review. I remain amazed that this film is heralded as some modern masterpiece. For me it drastically falls off once Ali leaves. It’s never horrible, but aside from some interesting camera work it’s very light and obvious. Yeah I agree, there’s no twists or revelations. They could have easily added something more but I still enjoyed it.